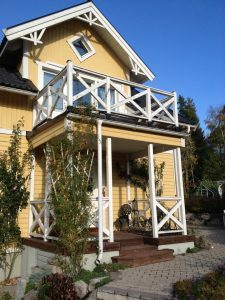 Curb appeal is still one of the most important considerations to keep in mind when listing your home. With an attractive front yard and entry, you can draw more potential buyers in for a close-up tour of your property. Great curb appeal doesn’t have to mean an entirely new landscaping job, however. There are plenty of quick projects which can help you take your curb appeal to the next level. First and foremost, a good clean-up is in order. Trim your trees and prune bushes, mow your lawn regularly and replace any dead or dying plants. 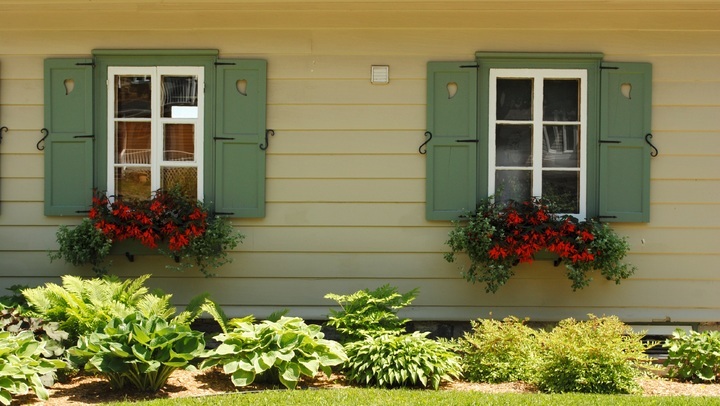 Keep the exterior of your home clean, too. A good pressure-wash for your windows and siding can do wonders, as can a fresh coat of paint. Check around your home for any needed repairs as well, including along the driveway and walkways. While your home is on the market, limit clutter in the yard by keeping bikes and garden tools put away when not in use. One of the simplest updates with the biggest impact you can invest in is exterior lighting. 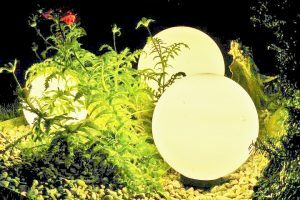 With today’s solar lighting products, the options are almost endless and budget-friendly when it comes to adding atmosphere to your yard. Line walkways, stairs, and the driveway with lighting to direct guests to your front door. 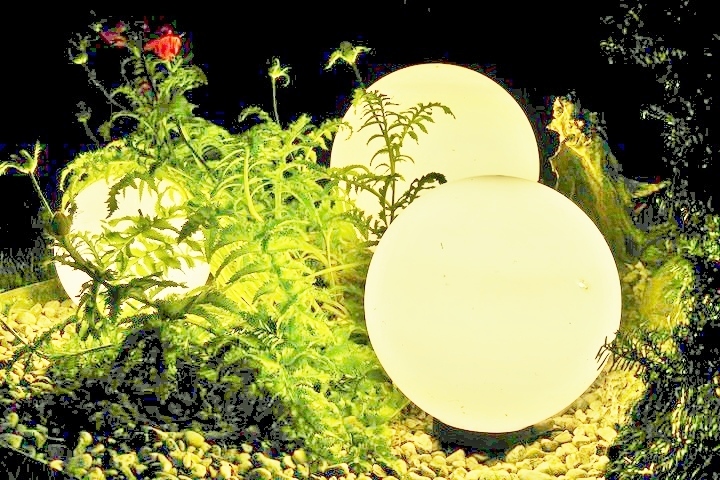 Highlight flowerbeds and add a welcoming touch to your porch with new lighting. Be sure to light up your front gate, too. While neutral paint colors are recommended over bright ones, when your home is on the market, a bit of color in your front yard will help draw the eye in and welcome visitors. Install a new mailbox and paint the house numbers in a bright color so your address stands out. Do the same with the house numbers on the side of your home, too. Small touches such as these can make your property memorable for all the right reasons. Go a little bold with a freshly painted door and window trim. If you have a porch or front stoop, paint the stairs and railings, too. If you opt for a non-neutral color, stick with one which blends well with the rest of your house. Shades such as brick red or sage green provide an accent color without overwhelming. Add some color with flowering plants. 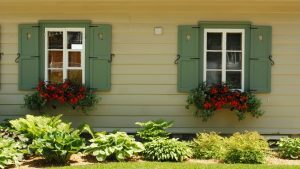 If space allows, add some hanging baskets to your porch, flower boxes under your windows, or line steps and walkways with potted plants. Ornamental grasses and ground cover plants also add a bit of natural drama without taking over your yard. If your front yard could use a bit of an update, consider a hardscaping project alongside any landscaping improvements. The addition of a curving pathway with gravel surrounding stone or brick pavers, or a low rock wall to line flowerbeds will give your yard a whole new look and add architectural interest. If space allows, add in a seating area and water feature such as a fountain to create a welcoming atmosphere. 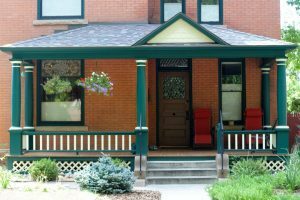 Curb appeal also includes the photos of your property listing, first impressions are now made online; be sure to get your front yard in shape before you take pictures. Find more tips and ideas to enhance your curb appeal with this article by HGTV. The home selling process is made easier when you work with a Realtor® who understands how to market your home successfully. The Jim Powers Team of local Realtors® is here for you from start to finish. Visit our website to learn more, then contact us or give us a call at 717- 417- 4111.